Whether you know him from viral videos like Millennial International, Road Rage in the Church Parking Lot, or Every Parent at Disney, Crist has solidified his comedic prowess with sold out shows from coast to coast. Named as one of the “Top Five Comics to Watch,” Crist is no stranger to accolades. 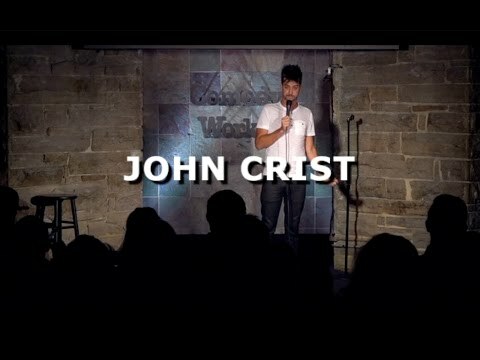 Crist was a finalist in Comedy Central’s Up Next Comedy Competition, a finalist in the Comedy Works New Faces Contest, and named to the Burbank Comedy Festival’s "Best of the Fest." He has also been featured in Men’s Humor, Relevant Magazine, The Adam Carolla Show, Cracked, The Today Show, The Nerdist Network, TBN, and The Daily Wire, to name a few. He was even once a voice actor on the popular children’s radio show Adventures in Odyssey. Whether its Church Hunters, Celebrity Pastor Fantasy Draft or his most recent work, Virtual Reality Church, Crist’s humor sometimes focuses on the nuance of the local church.